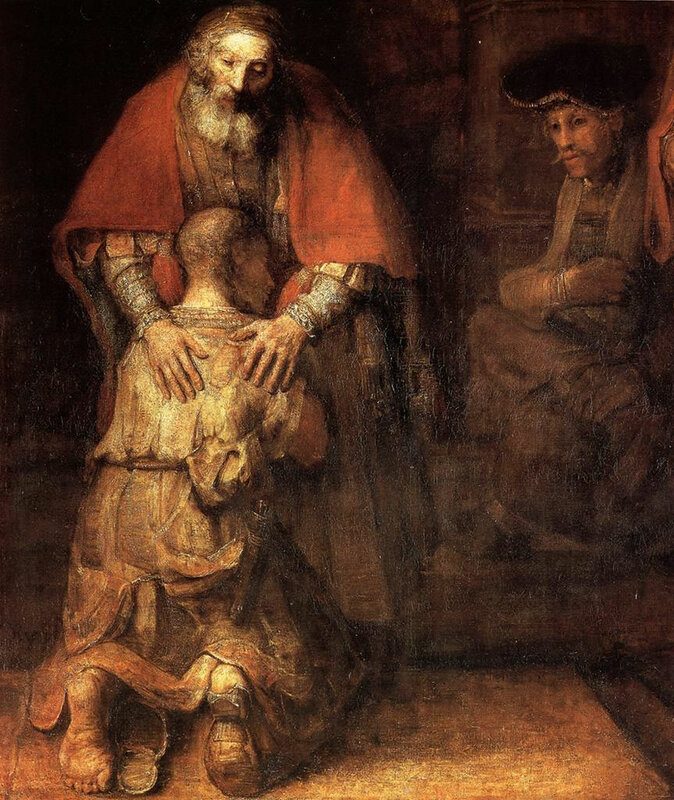 This post is the final post in our series examining interpretations of the Parable of the Prodigal Son. Last week we examined the interpretations of Hultgren, Rohrbaugh, and Schottroff and demonstrated the hermeneutical diversity concerning parable interpretation in current scholarship. In today’s final post in this series, we offer some reflection upon the implicit critiques that each respective scholar’s position offers the other interpretation before turning to some final thoughts concerning the diversity of interpretation in parables studies. Hultgren’s perspective, being the one most easily identified as “tradition” receives two strong overarching critiques. A social science perspective has little room for theologizing and relying on traditional historical-critical factors to provide the basis for a parable’s interpretation, and thus such a perspective would seem to call for a wider use of critical sources in Hultgren’s interpretation. From the feminist perspective, Hultgren’s interpretation is faulty in two crucial areas. First, his interpretation makes no reference to the implicit patriarchy exhibited in the father character or in the parable’s lack of reference to female characters who were almost undoubtedly involved in the story. Second, Hultgren makes the fatal error of allegorizing, and interprets the patriarchal father as God. Such an interpretation represents that exact form of traditional understanding that the feminist model seeks to overcome. Turning to a general critique Rohrbaugh’s perspective, we note that a traditional and theologically informed perspective would likely find fault with the often wooden sounding meanings and values that come from Rohrbaugh’s interpretation. From the feminist perspective, Rohrbaugh fails to adequately address the context of patriarchy and the role that female characters would have inevitably had in a narrative account. Looking at a critique of Schottroff’s perspective, one would expect a traditional perspective to offer at least a word of caution in assuming the parable affirms patriarchal structures. The argument could be made that since parables are short stories meant to convey messages to their audience, one would not expect to find much superfluous information or character development. From a social science perspective, Schottroff’s perspective would likely be critiqued on the grounds that inadequate or too traditionally employed socio-historical factors were used in the construction of the context of the parable and that more culturally specific datum should be employed. By this general exercise, we have seen that each interpretation presented can dialogue with and ask critical questions of the other perspectives. Have briefly surveyed some general implicit critiques of each scholar’s perspective from the positions of the other scholars, let us now turn to some final thoughts on the diversity of these perspectives. In our review of each respective scholar’s position, we have made note that each attempts to incorporate the context of the parable and its audience in seeking to make sense of the narrative. However, not only did the scholars utilize different aspects of contextual material to support their interpretations, but in at least one case, one scholar indicated that their contextual information indicated something directly opposed to the other scholars’ contextual understanding. Schottroff argues that in Judaism and Hellenism a precedent existed for younger sons to receive their inheritance before the death of the head of the household in order to start their own lives. Rohrbaugh and Hultgren argue the opposite. While Hultgren cites no such precedent and notes its oddity, Rohrbaugh argues that such actions were inherently shameful and damaging to the reputation of both father and son in the story. Given that we have no primary sources to review here, the point is not to determine which set of contextual understandings is correct, but to ask: how do we come to an understanding of context? Which disciplines can assist in the construction of a socio-historical context, and what transpires when disciplines fail to indicate the same form of cultural and contextual understanding? At the very least, a multi-disciplinary approach that employs a wide variety of contextual factors and disciples seems to be the best method for forming a cultural context that is as fully formed as possible. In addition to questions regarding context, one must ask about the role and function of allegory in the interpretation of parables. Certainly advocating the allegorized interpretation of every parable seems only to reverse any progress that New Testament scholarship may have made regarding the interpretation of the parables of Jesus. That being clear, does any room exist for allegorical meanings within parable studies, not as a central interpretive dynamic, but as one function of the overall interpretive structure? Additionally, as a suggestion for future work, we note Rohrbaugh’s methodological and interpretive assumption that the audience of the historic parable, as delivered by Jesus of Nazareth, and the audience of the literary parable, as recorded by the Evangelist commonly referenced as Luke, contained many of the same types of people along with their similar contexts and worldviews. To argue that the audience of an apparently itinerant Palestinian Jew who spoke to a general population of Galilee and Judea and the audience of a letter written to an imperially connected and possibly wealthy patron would both be speaking to audiences with similar cultural understandings and contexts seems prima facia a stretch, and it is clear that Rohrbaugh’s article does not intend to delve into the examination of that assumption. However an investigation into the similarities and differences between original parable contexts and their later inclusion in the literature of the Gospels appears to be a future project worth undertaking. In this series, we have examined three interpretations of the Parable of the Prodigal Son found in Luke 15:11b-32 as a demonstration of the hermeneutical diversity within modern New Testament scholarship with regard to parable interpretation. Hultgren’s traditional Protestant interpretation views the parable primarily as portraying the extreme love of God for His children. Rohrbaugh’s social scientific interpretation employs the sociological and anthropological data of honor and shame to provide the framework for understanding the actions of the characters in the narrative and underscores Jesus’ call to for those hearing the parable to remain integrated in their communities. From Schottroff’s feminist perspective, this parable presumes a patriarchal worldview, which must be rejected on the way to interpreting the narrative as an example of true confession of mistakes and the need to love even those who have done wrong. As we have seen via these three interpretations, their critical interaction with each other, and the questions concerning context and allegory in parable interpretation, we have demonstrated the wide hermeneutical diversity within contemporary parable interpretation in New Testament scholarship. Hultgren, Arland J. The Parables of Jesus: A Commentary. Eerdmans: Grand Rapids, 2000. Print. Rohrbaugh, Richard L. “A Dysfunctional Family and Its Neighbors (Luke 15:11b-32): The Parable of the Prodigal Son.” Edited by V. George Shillington. Jesus and His Parables: Interpreting the Parables of Jesus Today. T&amp;T Clark: Edinburgh, 1997. Print. 141-164. Schottroff, Luise. The Parables of Jesus. Translated by Linda M. Maloney. Fortress Press: Minneapolis, 2006. Print.